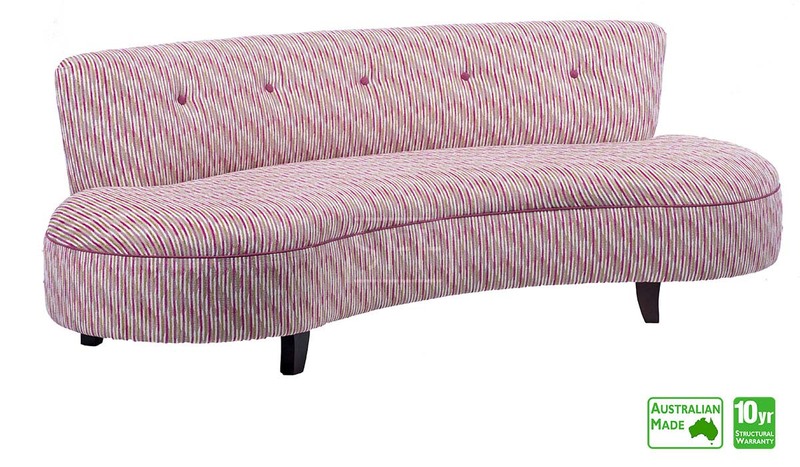 Advertised price is for the 2.5 Seater Kidney shape sofa in Fabric range ""Hackney"" - colour pictured is Fuschia with contrast piping & buttons (more fabric choice available in store). The Luna sofa is the perfect piece to add to complete the decor. Featuring a unique kidney shape which is ideal for being placed in the centre of a room. Found our perfect lounge and at an amazing price!